A recent study found that a good use of smartphones by teens is to connect with their electric toothbrushes to help them brush longer and better. A group of 60 teens (ages 13 – 17) were randomly divided into two groups: one group received a soft manual toothbrush (Oral-B Indicator 35); the other group received a power toothbrush and an Oral-B Precision Clean brush head. All participants were given the same toothpaste. Those using the power toothbrush also received a charger and Samsung Galaxy S3 smartphone loaded with the Oral-B Application v. 2.1, OB2 phone app. All participants received an oral exam to establish baselines for various aspects of brushing and to identify focus areas needing additional attention. Those using manual toothbrushes were instructed to brush as usual for two minutes twice daily and to spend an extra 10 seconds on their focus areas. The same information was given to the group using power toothbrushes via the app. They were sent home to brush as instructed for two weeks. After two weeks participants were re-examined and their scores were compared to the baseline exam. There was little change in the brushing habits of those using manual brushes (baseline 119.2 seconds; 2 weeks 118.4 seconds). But those using power toothbrushes improved significantly (from a baseline of 108.6 seconds to 143.5 seconds). Many conversations are occurring on the internet about tooth whitening. Some offer good advice. But some are pushing ideas that are simply harmful in some way. Before you try some method that you find online check with your dentist. Be certain that what you are planning to try will not damage your teeth. A case in point is the current trend that suggests the use of charcoal to whiten your teeth. Please don’t try this. During the last two years people have been discovering new ways to use activated charcoal for their health and beauty needs. One such use is cleaning skin with charcoal, which absorbs the oils and stains. The thinking seems to be that if charcoal works so well for the skin, it should also work for teeth, making them whiter. Charcoal is “wood that has been placed inside a low oxygen environment like a steel or clay box and heated to over 1000 degrees F.” The lack of oxygen ensures that the wood cannot be lit nor can it burn. The heating process removes water, tar, gasses, and other elements in the wood through melting or evaporation. What remains at the end of the process is pure carbon and ash. Brushing with charcoal means that you are rubbing a very hard substance against your delicate teeth. 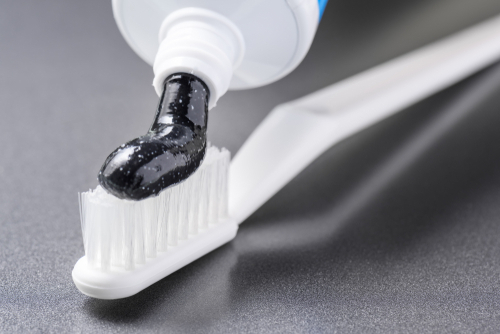 While most toothpaste contains abrasive elements that clean your teeth, these elements are significantly less damaging that charcoal. In fact, the abrasiveness of the charcoal can actually damage your teeth by eroding the enamel on your teeth. What immediately appears to be whiter teeth will fade over time, making the teeth appear yellow. When charcoal is used incorrectly or too often, it erodes the enamel. When the enamel is eroded, what becomes visible is the underlying dentin. The effect of a long-term use of charcoal to brush your tooth to whiteness is actually harmful to your teeth. What people do not seem to understand is that damage to tooth enamel is permanent. When you remove the enamel, you cannot replace it. Before risking permanent damage to your teeth and gums, always use products that pass two tests: the seal of the ADA and the recommendation of your dentist. In the last four-and-one-half years (since 2013) the use of has doubled in the U.S. Marijuana is used both medically and recreationally. As most people know, there are psychological and physical effects of marijuana. But do you know what it does in your mouth? Whether marijuana is smoked, baked into foods or applied as a topical cream marijuana can have a number of harmful effects. Its use can cause an immediate increase in heart rate, dilation of the blood vessels and circulation interruptions. This results in an increase in blood pressure and a decrease in the ability of the ability of the blood vessels to carry oxygen throughout the body. Some very limited studies have suggested that the risk of heart attack is five times more likely to happen in the first hour of marijuana use. Although users typically report feeling relaxed, calm or sleepy, marijuana can also cause anxiety, paranoia and hallucinations. It is important that your dental hygienist and your dentist know about your marijuana use before administering any drugs. stomatitis-like lesions, uvulitis and gingival enlargement. It is important that your hygienist and your dentist know about your marijuana use because they will need to look for and monitor any of these effects. 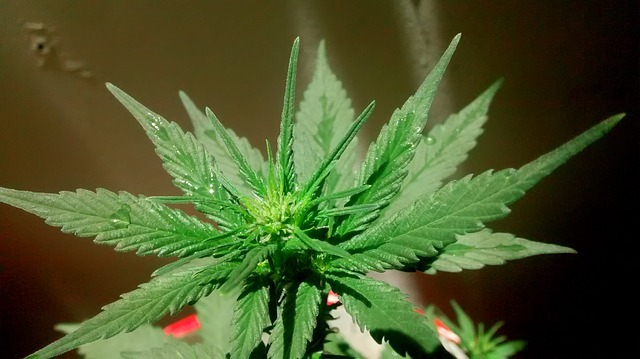 Some dentists do not look for effects of marijuana use when examining patients. Because of the oral risks associated with marijuana use, please inform your dentist. At Complete Dental Care of Salem, VA, we do not judge; nor do we ever share any information about your health with others. Please keep this in mind when you come into the office and help us to help you by informing us about your marijuana use. The goal is always to improve your dental and general health. 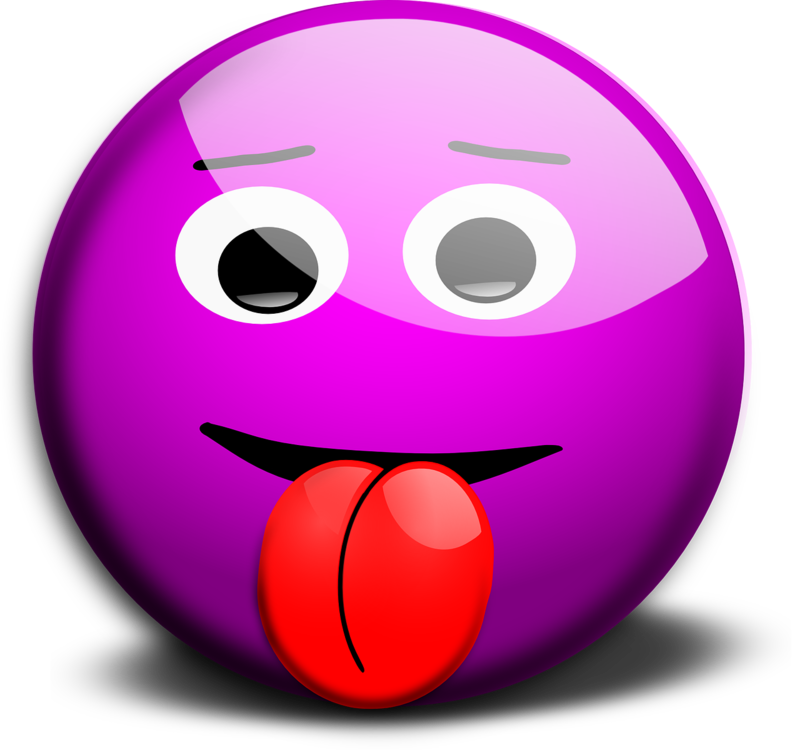 Your taste buds (which allow you to enjoy various flavors) are located on the tiny round bumps at the back of your tongue (called papillae). Your taste buds can be swollen due to irritation of the taste buds, or they can be damaged or burned. Taste buds typically regenerate every week or two. But they can be damaged in several ways. There are small projections in the taste buds that are a bit like hairs. They send messages to the brain – particularly about tastes. If they are damaged, you cannot taste your food. Swollen taste buds are not uncommon. The National Institutes of Health estimates that 200,000 people seek treatment for problems with their sense of taste. What irritates taste buds sufficiently to cause swelling? Here are some common causes of taste bud irritation. Burns, cuts or injuries to your mouth or tongue that cause swelling and inflammation. The taste buds can be white or bright red in appearance. They may also have blisters filled with fluid (pustules on the tongue). Under normal conditions taste buds are not visible to the naked eye. Because your body regenerates the taste buds regularly, swollen taste buds typically resolve quickly on their own. If, however, you have long-term swelling or your sense of smell is also affected, you should see a doctor. Swollen taste buds are sometimes symptoms of tongue cancer, which makes it critical that you see a doctor or dentist for long-term symptoms. Your doctor or dentist will talk with you about the best treatment options for you. If you believe your chronic compromised sense of taste might be due to swollen taste buds, come in. Let’s determine the cause and find the right treatment for you. Your mouth is burning, but you have not had anything hot to eat or drink. What is going on? 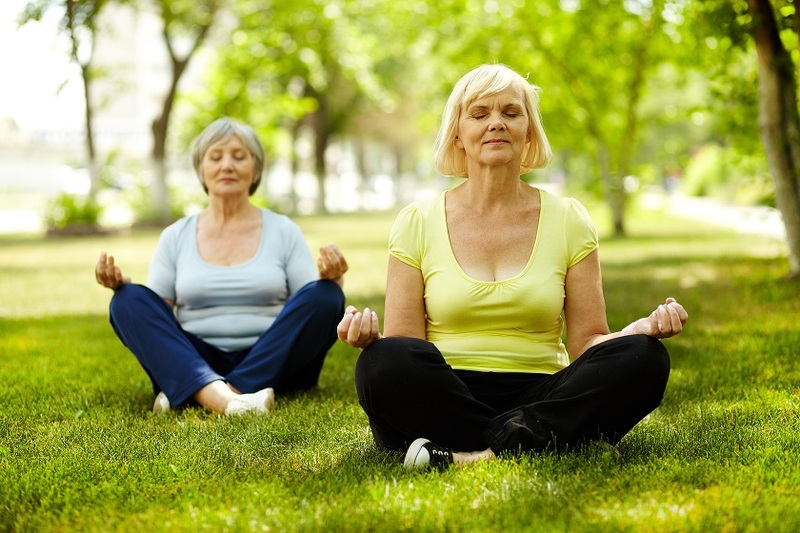 and it typically affects middle-aged or older women. Burning mouth syndrome affects nearly 1.3 million Americans. Here is the essential information you might need to know. TheÂ International Headache SocietyÂ defines it as "an intra-oral burning sensation for which no medical or dental cause can be found." Often the symptoms intensify over the course of the day. But the pain usually subsides at night. Dry mouth – often cause by other disorders and medications (Diabetes, Sjogren’s syndrome). Anxiety and depression (although sometimes burning mouth can cause anxiety and depression). Blood tests for infections, nutritional deficiencies, diabetes or thyroid conditions. Oral swab test for oral candidiasis. Allergy testing for some foods, denture materials (when appropriate), or other types of allergies. Taking appropriate medications (as recommended by your physician or dentist) to relieve dry mouth, to treat oral candidiasis, to mitigate pain from nerve damage, to relieve anxiety and depression. I Have White Gums! Why? Before you buy those mail-order braces . . .